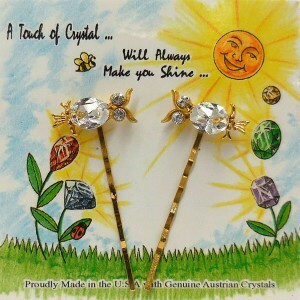 Our Crystal Owl Hair Pin Set adds some sparkle to your hair with Genuine hand set Austrian Crystal stones making this an ideal gift for both young and old alike. 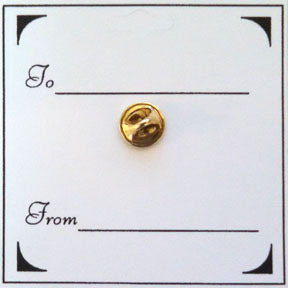 Owl lovers will love wearing a set of Owl hair pins showing off to the world their love for this majestic creature. Make someones day sparkle with this very unique set of Crystal Owl Hair Pins. This Crystal Owl Hair Pin Set is layered in a 14Kt gold finish and comes in assorted hand set Genuine Austrian Crystal stones that reflect light beautifully and are always noticed. 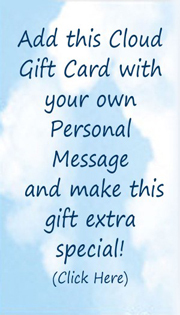 A “To and From” is printed on the back of each colorful card so it makes a great gift by itself or great gift tag for a special present.